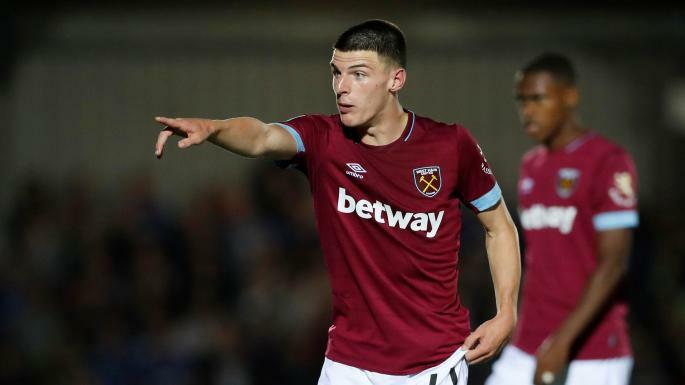 Manuel Pellegrini has addressed his mind to the Declan Rice sceanario as the various international and contractual dramas continue to surround the teenager. We need no more reminders of his off the pitch situation but the manager’s assessment of his abilities on it makes very interesting reading. He said in his pre-Huddersfield presser: “I think Declan Rice has a lot of potential to arrive at the level that he wants to. After that, you must see the development of his career. He is learning a lot of things very fast. On the strength of it this is a fairly dispassionate assessment of a young man who has been most people’s man of the match several times this season. His quality is obvious and the international and contractual positions don’t seem to be affecting his game one little bit and that is the sign of a real pro in the making. However, Pellegrini’s clear view that he is not the finished article and still has some learning to do perhaps sends a message that huge agent demands may not quite be the order of the day. That too includes the suggestion that until he achieves the heights which he still has to scale demands should be kept within sensible limits. The general tone of the boss’ words are encouraging but he is obviously making a point or two here that one of two people – including the player too perhaps – need to bear in mind. I agree , generally, with what Pellegrini & yourself say about Rice – but, for heaven’s sake – he has been man of the match (or thereabouts) in practically every match that he has played in. Compare that to the rest of the squad , who all get paid several times what he gets – & most of them considerably more than he is asking for – & surely you can see that he is worth a considerable pay rise. Andy Carroll (who hasn’t played for all of this season & for most of all of his other seasons) gets £85k for doing next to nothing ; & Rice gets £3k ! Are you joking ? Absolutely agree! Declan Rice looks like a fine player now and potential to be a great. I wonder how much the drama of the contract and National allegiance is actively improving his performances…?? Top players thrive on that kind of pressure….!? Great news that Declan has revealed publicly he is going to sign and sees his future at West Ham. That’s the main thing.